The Marian shrine at Laus is a place of reconciliation and conversion, marked by a church that has been built in the vicinity of where numerous apparitions are believed to have been witnessed by a shepherd girl in the late seventeenth century. A Way of the Cross leads to several of the apparition sites in the sanctuary. During summer, all sites are accessible by car or on foot. Some sites may be inaccessible in winter. Laus (pronounced ‘Low’ in French) is a Latin word meaning ‘praise’. Following official recognition by the Catholic Church in 2008, Laus is becoming an increasingly important place of religious pilgrimage. 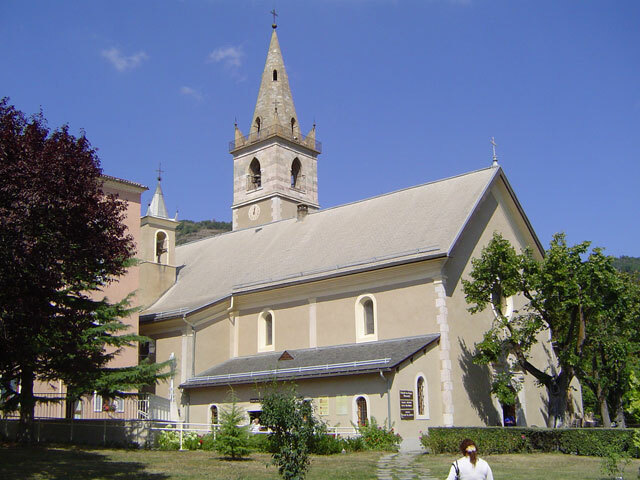 The history of Laus as a pilgrimage site is much older, dating back to May 1664 when Our Lady was reported to have made the first of many appearances to Benoite (Benedicta) Rencurel (1647-1718). In a series of events claimed to have been experienced during her lifetime, Rencurel was also said to have received visions of the crucified Christ and of Saint Maurice. Between 1818 and 1841, the shrine at Laus was under the pastoral care of St Eugene de Mazenod’s Missionary Oblates of Mary Immaculate. Eymard recognised the significance of Laus from an early age. Shortly before making his first communion in 1823 (aged 12), he made a pilgrimage to Laus and declared his love of Mary. It was the first of many pilgrimages that punctuated Eymard’s life. As a 13-year-old, he made a second pilgrimage of sixty kilometres from La Mure to Laus. Here, he met Fr Jean-Joseph Touche (one of de Mazenod’s missionary priests) who became a friend and mentor. Touche urged Eymard to receive communion each week. Eymard journeyed to Laus in 1829, on the eve of joining de Mazenod’s Oblates as a novice. And later, on 23 May 1855, Eymard placed the first drafts of his Constitutions (for the Blessed Sacrament Congregation) on the altar at Laus. 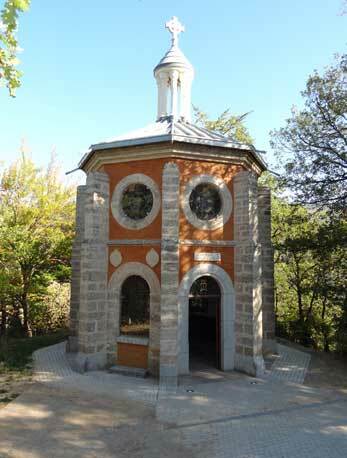 Chapelle du Précieux Sang (Chapel of the Precious Blood), Shrine of Notre-Dame du Laus. It’s the most beautiful and holiest place of pilgrimage in the world after Notre Dame de Loretto. It’s the pilgrimage place of my youth. I owe everything to it. After you arrive there, pray the litanies of the Blessed Virgin behind the altar for me . . .
[Eymard to Fr E. Tenaillon SSS, 21 July 1867, transl. Sr Catherine Marie Caron SSS, The Life and Letters of Saint Peter Julian Eymard, vol. 6 (Albuquerque: 1995, 86)]. Nearly two decades later, Fr Tenaillon became the first postulator of the cause for Eymard’s beatification. Benoite Rencurel was proclaimed Venerable by Pope Pius IX in 1872. 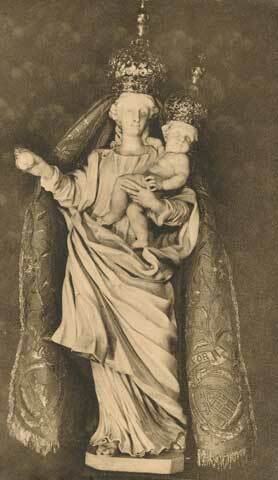 The cause for her beatification, suspended in 1913, was reopened by Pope John Paul II in 1981. ‘The Laus Shrine’, Interview with the Bishop of Gap, Jean-Michel di Falco Léandri, Messenger of Saint Anthony (November 2008). By Renzo Allegri. ‘Is seeing believing? How the church faces claims of Marian apparitions’, Carol Glatz, Vatican Letter, 21 January 2011, Catholic News Service, Washington DC, USA.